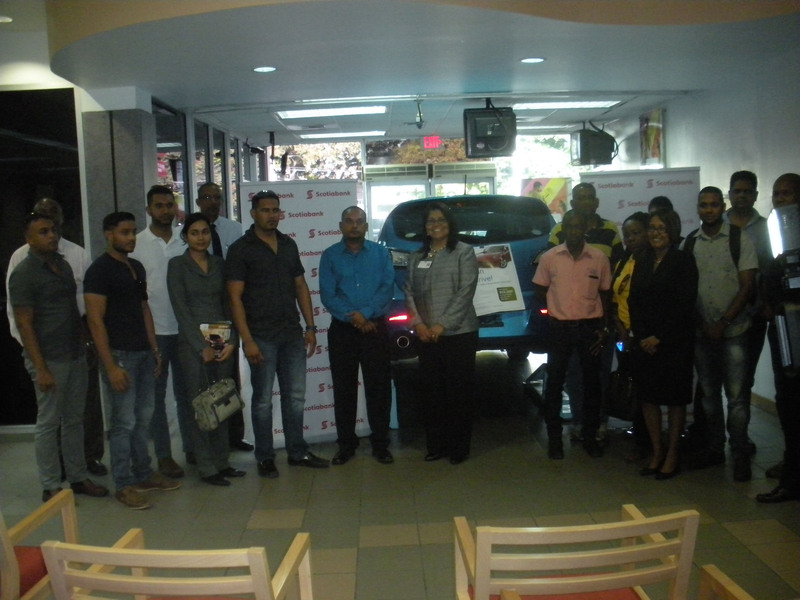 Scotiabank launched its auto loan campaign yesterday at its Carmichael Street Branch. 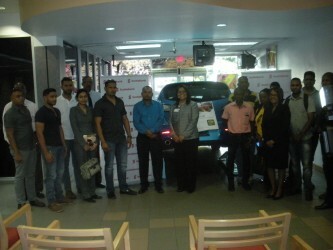 Marketing Manager, Jennifer Cipriani, said customers can visit any of the auto dealers which Scotiabank has partnered with and select a car to their liking. 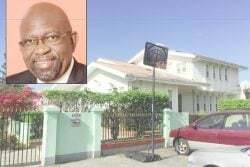 Some of the auto dealers Scotiabank partnered with were Best Buy, Car Care Enterprise, Kenricks, Ray’s Motor Spares, Top Notch, Vision, Tony’s Auto Spares, Dexter’s Auto Sales, Dwayne Stephen’s Auto Sales, Rose Ramdehol’s. Danzies, Suresh Business Complex and A. Ali and sons are in Berbice. 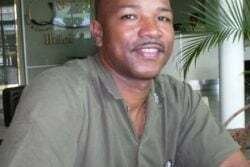 While, Carsmart auto sales is in Bartica. The other auto dealers can be found on guyana.scotiabank.com. Once the car is selected, the auto dealer will give the customer a coupon and they will take the coupon to any Scotiabank location. 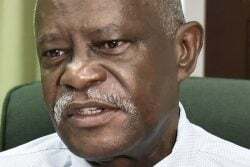 If the loan is approved, the customer will get a free tank of gas from any Rubis Service Station and will not have to pay anything for the first month. Cipriani said Scotiabank will have a monthly draw in July, August and September. Whichever customer wins the draw will have a reimbursement on their insurance, valued at $150,000. Scotiabank will also do a Facebook promotion, customers will post a picture of themselves or family in their new car on Scotiabank’s Facebook Page and whichever customer gets the most likes, will win $50,000 for themselves and $50,000 for a charity of their choosing but the charity must be a children charity.